Not a new idea with the reflective insulation but I thought I came up with a clever way to hold it together. Only did 2 wraps as from what I understand an air gap is need between layers for increased r value. Luckily I thought about it before just cutting it straight at the last wrap. Made extended straps and cut a couple slits to pull it through. Looks good! From my understanding the air gap is necessary. Be careful if that’s a direct fired MT. And it’s nice to see you around here again. If I remember correctly you just had a baby so hope all is well. I can say personally, fatherhood is the most rewarding thing in life. Thanks! Yes it's been awhile. Twins and yes it certainly is rewarding. Wouldn't change a thing! That’s right I thought it was twins! Just wasn’t sure. Glad all is well! If the kettle goes on a burner, the foil bubble stuff might melt on you at the bottom. Great innovative use of the stuff though. 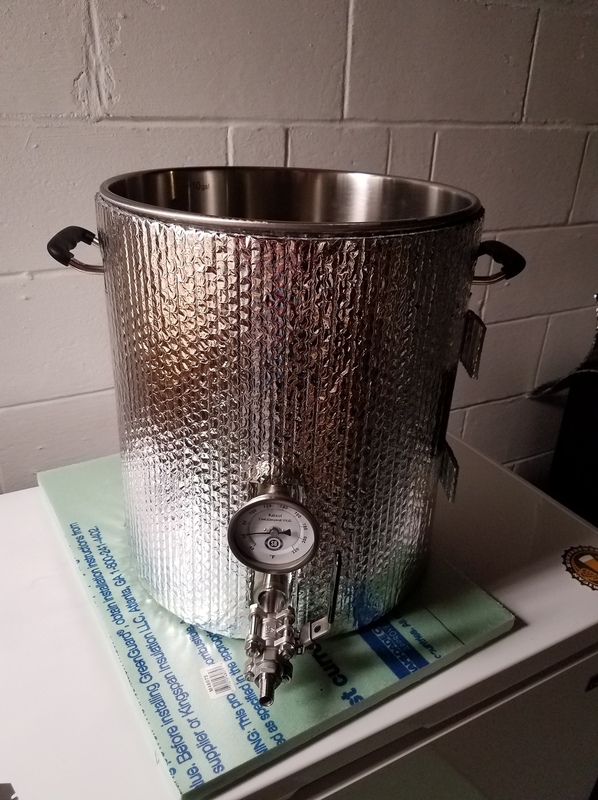 Years ago I used the same kind of idea to make a Zapap double bucket lauter tun into a mash lauter tun. I cut strips of Styrofoam and wrapped them around the outside bucket then duct taped around. OK without Google, who knows what a Zapap is? No idea what a Zapap is. Yeah I'm sure it would melt. Last batch I did end up slightly lifting the bag and applying some heat but didn't really have a good insulation setup. If I have to heat with this still I'll just unwrap it. Might be a small headache but shouldn't be too bad with only 2 wraps. Also thinking I might make a wider cylinder with a capped end as another layer with an air space. Something taller and wider that it slips over top the whole setup. I just put a sleeping bag over mine...ghetto I know...but it works. I get tired just thinking about babies...I helped my 23 year old "baby" move to a new condo this weekend and put together a bunch of IKEA furniture for her...just glad i didn't have to go to that fricking store! Enjoy this time, as old farts love to say, it goes by SO quickly. Wasn't that Charlie P's mash tun? I"ll have to google the correct spelling of his name. Yes , I believe that's what Papa P. called his mashtun/lauter system design- 2 plastic buckets, the inside one has drilled holes. If I remember right, he describes it, maybe with pictures, in the 'Joy of Homebrewing'. I actually did know what a Zapsp was. I too simply insulate my MT with a fleece blanket. I find it highly effective if I don’t have a lot of headspace. Yup Charlie Papazian. I still have his book The New Complete Joy of Homebrewing. Back then if I wanted a sack of malt my LHBS had to order one. They didn't have enough AG customers to stock it. 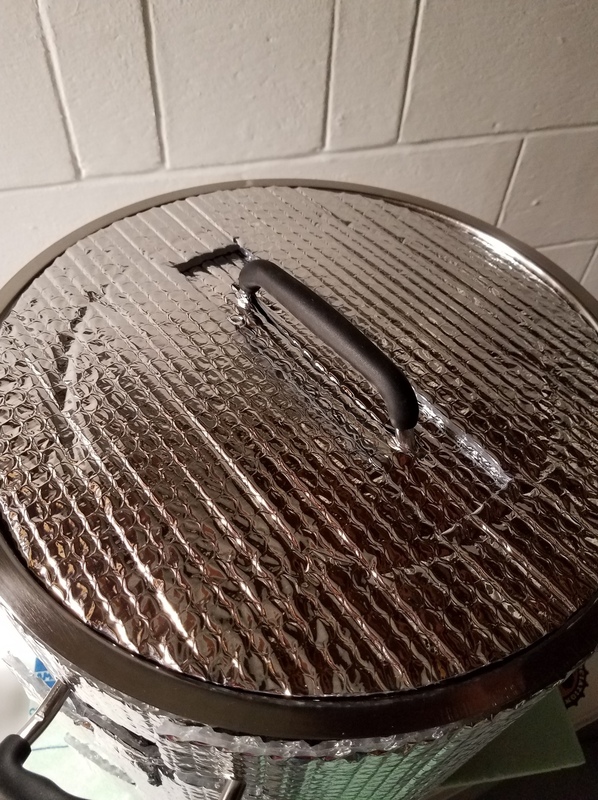 I went from the Zapap to a round cooler with a pizza pan for a false bottom to a converted Sanke keg with a home made "bazooka" and foil bubble wrap insulation, yes I burned it on the bottom. 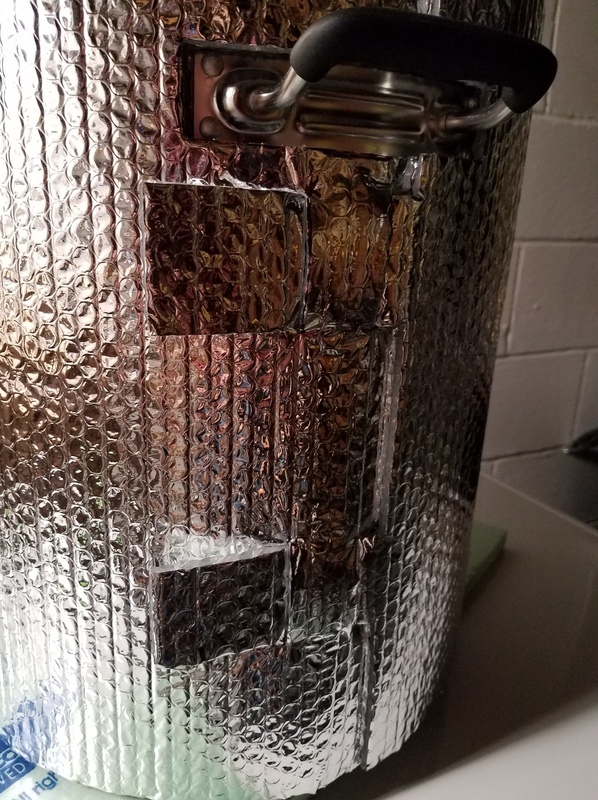 Now it's a 25 gallon SS kettle MT with no insulation. Even after an hour it only loses a few degrees. Since most everything that happens in the mash happens in the first 15 min. or so there is no problem.